The first batch of 7 applicants successfully qualified as registered educators for environmental education. Since WWF China launched “One Planet Registration for Educators and Nature Schools” at the end of 2016, applicants have gone through more than one year of professional training, practical services, and rigorous expert review. Finally, the first batch of 7 applicants successfully qualified as registered educators for environmental education. 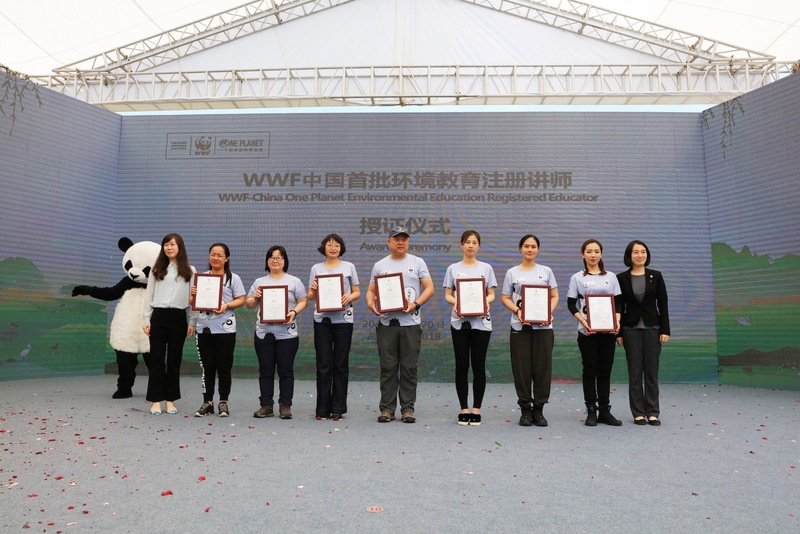 On April 20th, WWF China held a registration ceremony for the first seven WWF China One Planet Educator in Tongli, Jiangsu Province. In the future, they will be authorized to represent WWF in a series of environmental education courses to deliver the nature conservation and environmental education concept of the organization. 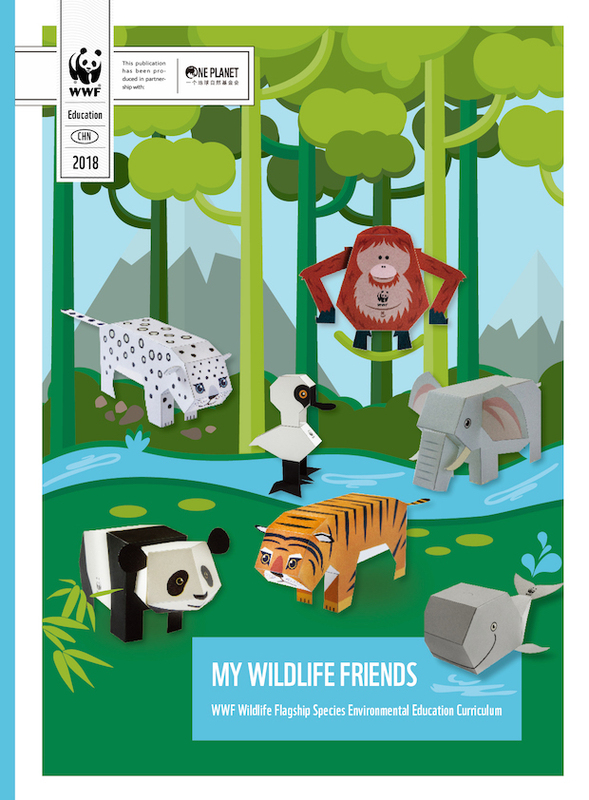 On the same day, the new educator's handbook, WWF Environmental Education Curriculum--"My Wildlife Friend" (English-Chinese bilingual edition) was also released in the same period. Dr. Yi Yong, Senior Project Manager of WWF Environmental Education, said that first-line environmental educators lack professional support such as theoretical studies and curriculum tools in the practical work. Thus, WWF launched the One Planet Registration for Educators and Nature Schools System in 2016 with the goal of Promote the professional and standardized development of China's environmental education industry and cultivate first-line practical educators and base networks. This is a management system independently developed by the WWF environmental education team and includes a complete set of procedures for "Training - Practice - Educator Registration - Nature Schools - Annual Review". Applicants need to complete WWF practical training, submit applications and annual practice plans, carry out more than 10 educational practices and 300-person-time annually. After a rigorous review and screening process, they can obtain the WWF One Planet Registered Educator qualification. Two or more registered educators are required to apply for becoming a WWF One Planet Nature School. Since some applicants did not complete the required standards of practice, only seven of them were selected this year. 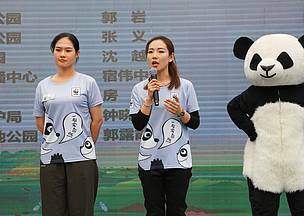 They came from national wetland parks, environmental NGOs and civil volunteer organizations. According to the WWF Environmental Education Team, the qualification of each registered educator is valid for one year. During this period, if the educational activities carried out are not up to the standard, they will not be able to continue to obtain registered educator qualifications in the next year. The validity period is designed to motivate registered educators to continue their education activities, not just to obtain a proof of identity. Guo Yan, the first batch of WWF One Planet Educator, “I am very fortunate to be able to participate in the WWF Environmental Education Practice Training, and to take the next step in the support of the WWF environmental education team, and eventually become the first batch of registered eductors. In the past year, the public classes for wetlands whose methods and tools taught by WWF have been got welcomed and recognized by the local public, especially the students, We hope that we will continue to work hard to gradually explore wetland courses with our own characteristics and work hard to promote the construction of Beidaihe National Wetland Park as a demonstration of wetland communication and education window in China." 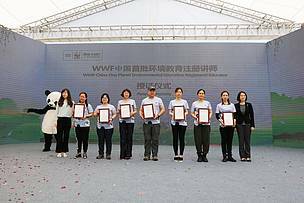 On April 20, at the ceremony, the educators also received the "freshly baked" curriculum - "My Wildlife Friends - WWF Environmental Education Curriculum Collection: Flagship Species". This is the second volume of the WWF series of environmental education courses. This course selects some of the most flagship species in the world and in China. With original methods and tools, WWF China developed this curriculum with scientific rigor, educational systemicity, and interactive interaction. The first 7 One Planet Educators will be invited to use this set of curriculum to spread the concept of environmental education. This set of materials will be officially published and promoted in the WWF global network. WWF Environmental Education Curriculum--"My Wildlife Friend"